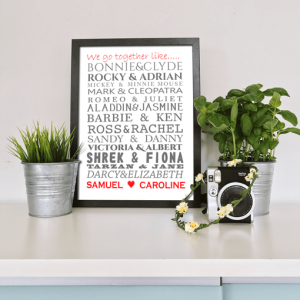 Our personalised typography prints make great personalised gifts. 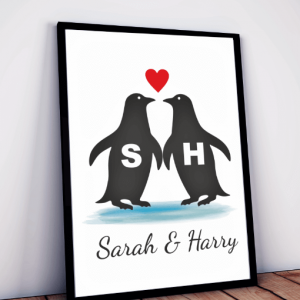 With a range of styles & designs for just about any occasion. 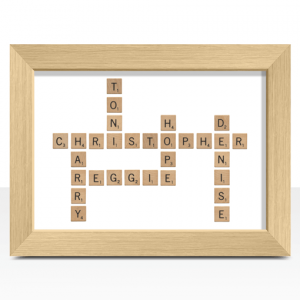 Add 6 words to Create your own Crossword Style Word Print. 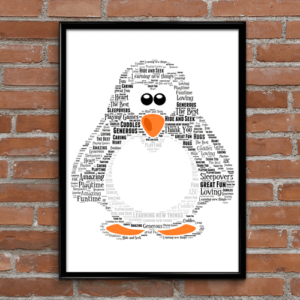 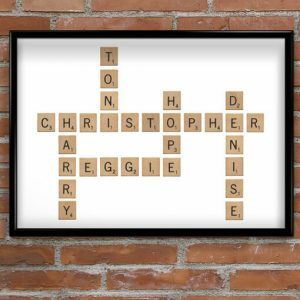 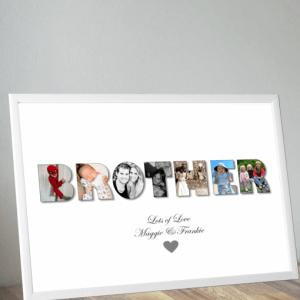 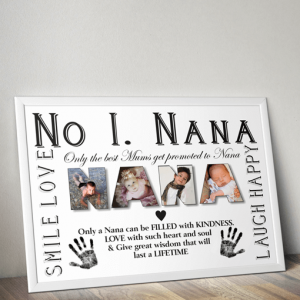 Create your own personalised 'child's name meaning' print. 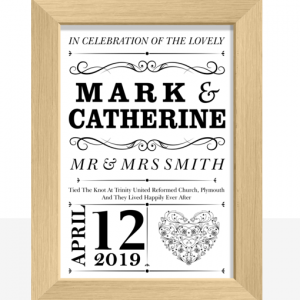 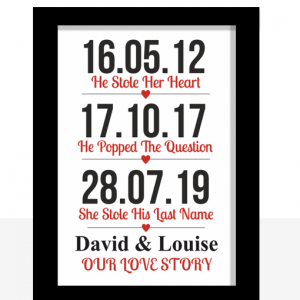 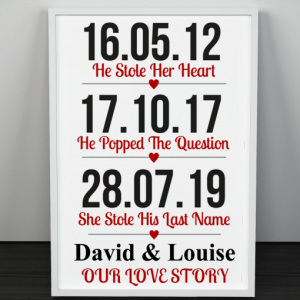 Add the couple's names & the wedding or anniversary date to create a unique personalised 2 Year Anniversary Gift. 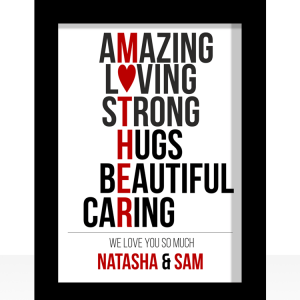 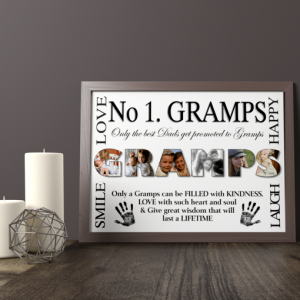 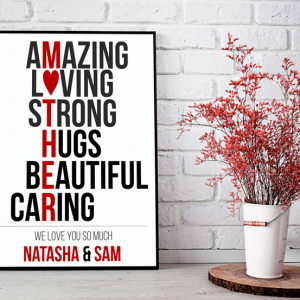 You can personalise this print by adding 2 lines of text including any names to the bottom of the print design, making this a unique gift that they can cherish forever. 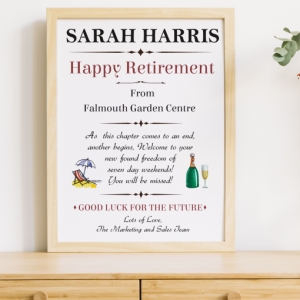 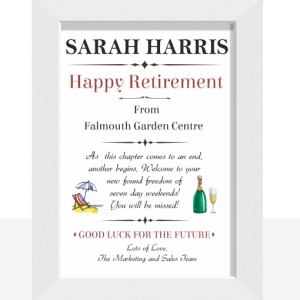 Personalise this print to create a special retirement gift. 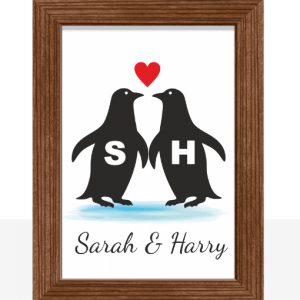 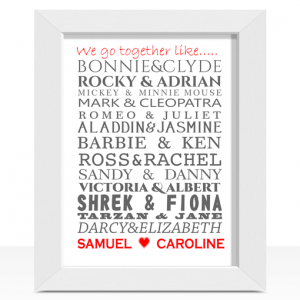 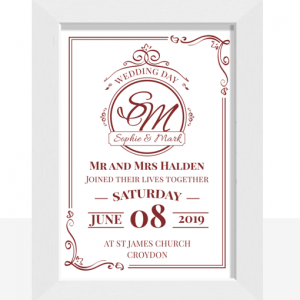 This makes a great personalised gift to present to a newly wed couple for their wedding day. 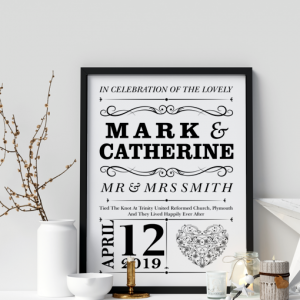 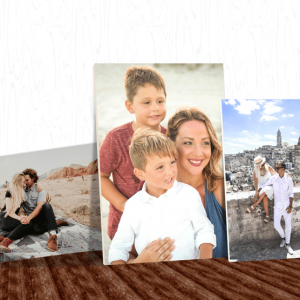 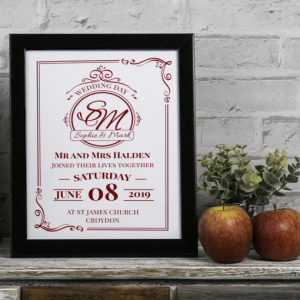 You can add all the important details to create a special unique keepsake gift to mark their special day.